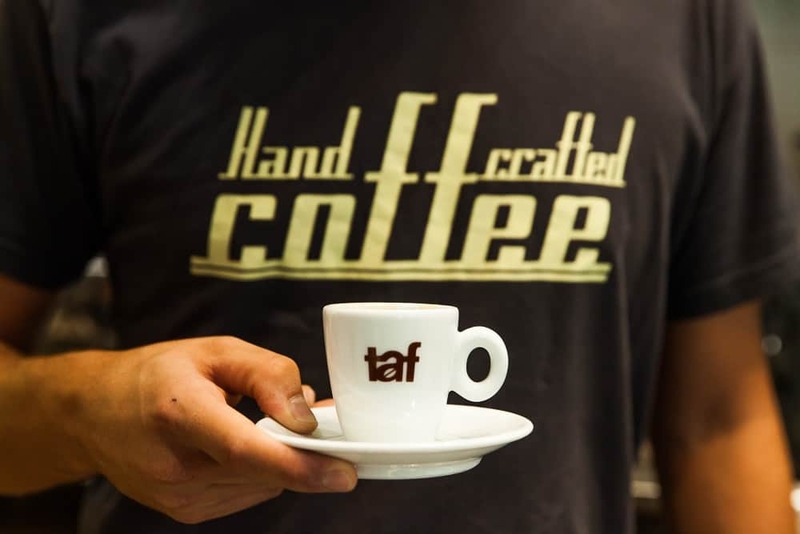 Taf is not a new name on the coffee scene in Greece, nor Europe. The short name, with a coffee bean in the middle, is recognised by many. Taf’s presence on the scene cannot be denied—recently also thanks to their ongoing appearance on the coffee-competition stages. We talked to Yiannis Taloumis, the CEO and the Head of Quality at Taf, to learn more about Taloumis-family business. Mr Taloumis is the person who runs the show at Taf. He is in charge of the decision processes, but it was not himself who had started the company back in the 1980s. Yiannis launched Taf together with his brother Ellias. 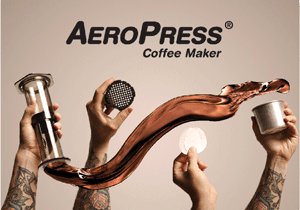 But it was not until 2005 that they started thinking about speciality coffee market at all. “It was then [in 2005] that we started looking for new horizons that would take us from a company that trades excellent coffee to a company that would start a new culture,” Yiannis explained. The culture of coffee-drinking is very strong in Greece, but back in the day, finding speciality coffee beans at a cafe would be a rare sight. And that was the case for Taf as well. 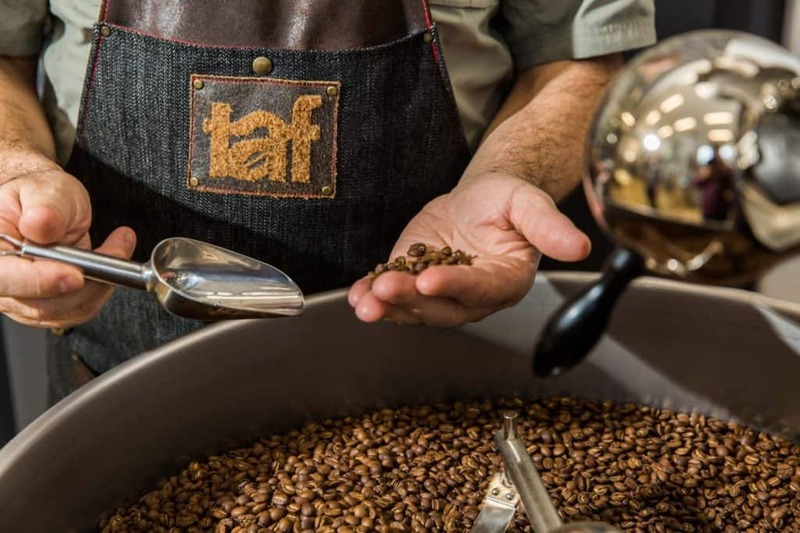 Initially, Taf was established as a Greek-coffee roastery, roasting coffees for the Cezve/Ibrik method, and only later did they expand their efforts to espresso and filter coffee roasts. The biggest step that the company experienced was in 2006 when the whole structure, as well as the culture of the company, were changed and the focus on quality was moved to the forefront of Taf's interests. It was thanks to Yiannis’ experience at the origins, where he had judged as a member of the International Jury of the Cup of Excellence, that Taf was able to establish the Direct Relationship Program. Nowadays, all of their coffees from their wide range are sourced directly. 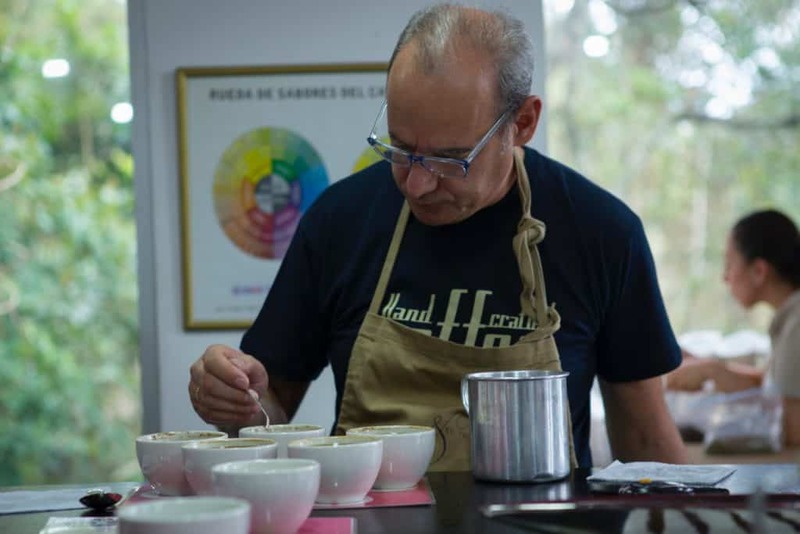 A few years later, when the Q Grader certification was established, Yiannis took the exams and became a Licensed Q Grader himself. 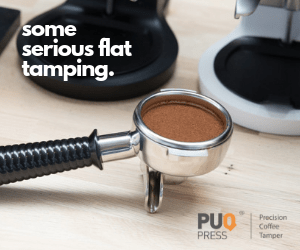 The Q Grader qualification is nowadays considered one of the highest forms of coffee certifications among coffee tasters. The search for high-quality coffees has become synonymous with Taf’s mission. “Our mission is to import high-quality green coffee through intensive research, to create and then to suggest to the Greek and International market unique taste profiles, thanks to our expertise and our long-term experience in production, exceeding customers' expectations,” Yiannis explained Taf’s efforts. They became building long-lasting relationships with not only the farmers but all other parts of the coffee chain. 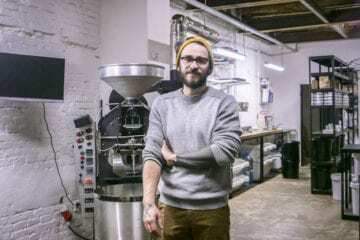 Yiannis considers Taf to be standing out for its sophisticated culture that helps spread the quality coffee and grows the community of speciality-coffee drinkers. What has always been at the core of Taf’s ethos is transparency of all processes, honesty and consistency towards the end consumer. 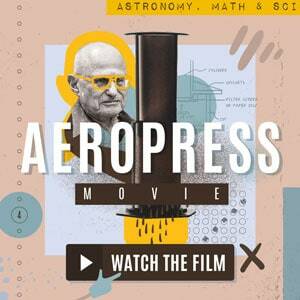 This is because Taf considers speciality coffee to be a new wave. “Thus, to play a leading role in this wave, we support it with sponsorships and special programs. We build solid relationships with all the members of the coffee chain and make sure that we are transparent, honest and consistent with them. 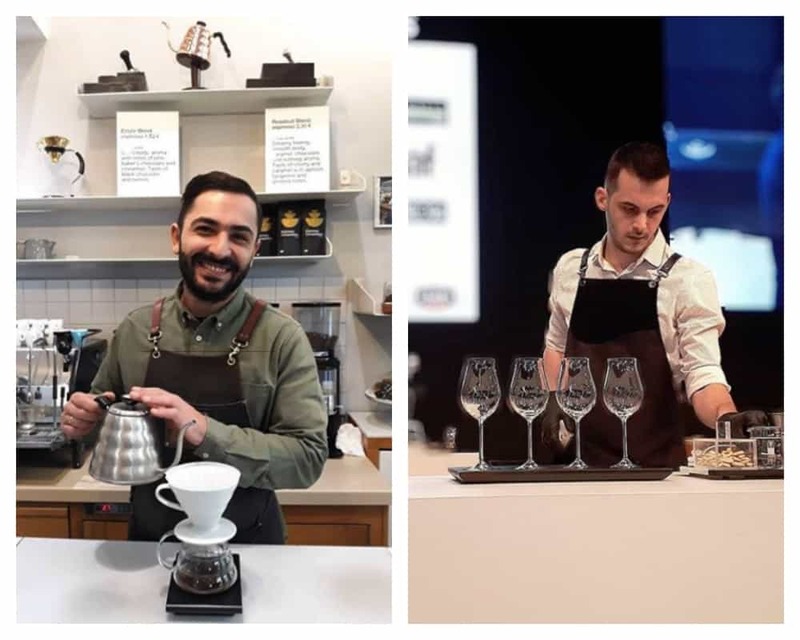 We have established open education programs for a barista with limited professional experience as well as a home barista who is eager to learn more,” Yiannis explained their role in the industry to us. The company has set and achieved several goals already. First, it was delivering the best-quality coffees they could find. 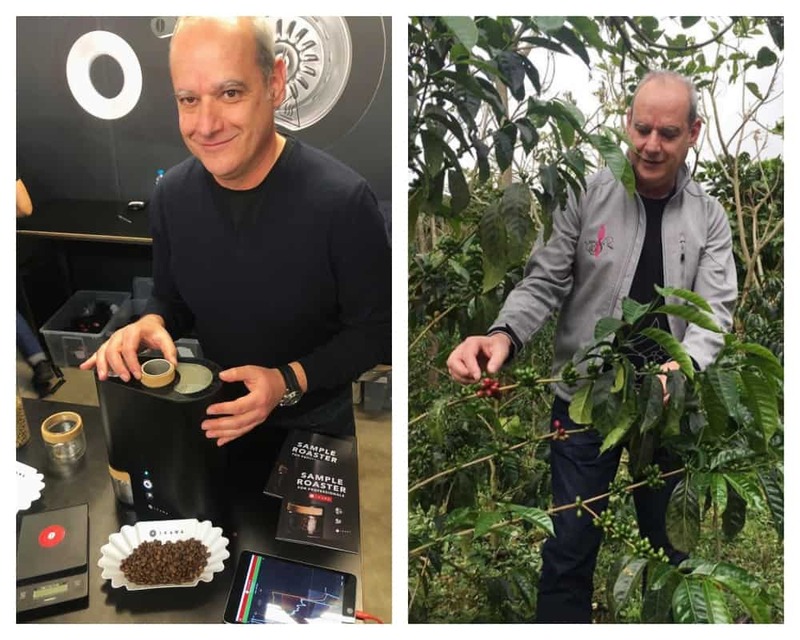 Later on, the company expanded to reach international markets, and their presence is—to this day—strong also on the competition stage, where their baristas place regularly among the best in the world. Elite baristas and sophisticated coffee profiles are what makes Taf believe they have become champions on the scene. Talking to Yiannis about speciality coffee, we learned that Taf has always preferred the term hand-crafted coffee to speciality coffee. For Taf, the focus has been on delivering coffees defined by three major factors: high-quality beans, craftsmanship roasting, and brewing to educate and inform the consumer. 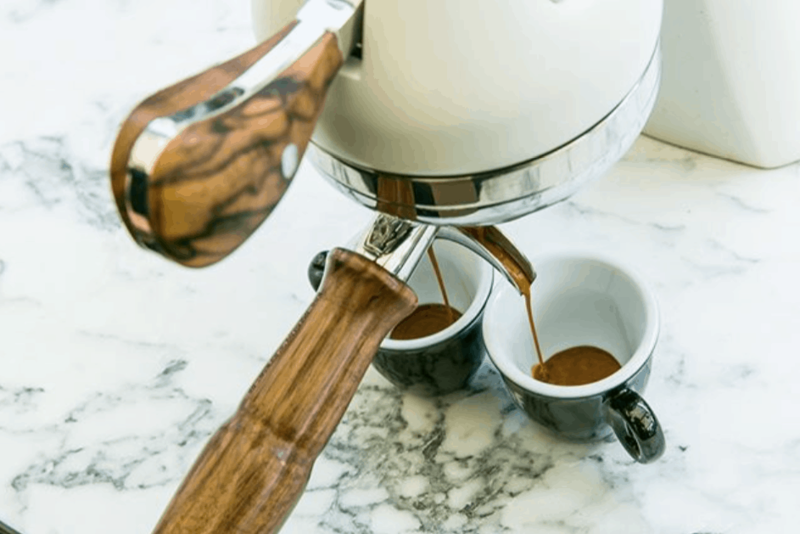 In 2009, Taf opened the Taf Coffee Shop in Athens, which became the stage to present their range of amazing coffees, brewed using only the best equipment—first, it was the La Marzocco Strada machine, and, since the end of 2017, the Modbar espresso Machine. With every visit to Taf Coffee Shop, you are served a beverage that is an embodiment of Taf’s values. In the long history of the company, Taf has always strived to play a leading role in the market. Their ambitions contributed to Taf’s involvement with the origins, participating in special programs, or running sponsorships. Since the launch of Direct Relationship Program, their relationship with farmers around the world has only been getting better. What followed the establishment of strong and long-lasting connections was the introduction of two varieties that set Taf apart from their competitors back in the day. First, it was the Geisha variety from Panama, from Hacienda La Esmeralda, introduced to their shops in 2008. Seven years later, in 2015, they brought yet another exotic variety, Sidra, from La Palma y El Tucan in Colombia. 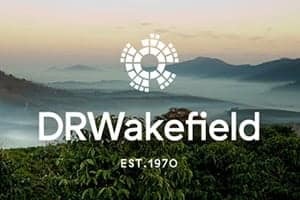 Today, they source exceptional coffees for example from Acatenango, Chimaltenango, Guatemala; San Marcos, Tarrazu, Costa Rica; Gitesi, Karongi, Western Rwanda; Cachipay, Cundinamarca, Colombia, and many other regions. The Direct Relationship Program allows Taf to experiment with innovative processing and custom profiles of these coffees, developed in cooperation with the farmers. 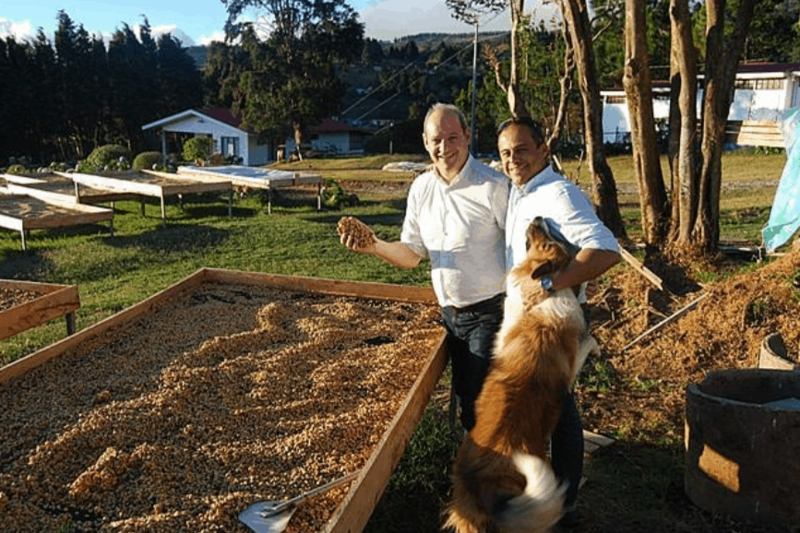 Yiannis at Sumava de Lourdes farm in Costa Rica, in the West Valley Region and the Central Volcanic Mountain Range. Taf has established several different categories of coffees based on the way these were sourced and depending on what these are to be used for. Taloumis Family Limited Reserve and Single Estate Coffees feature the best coffees that Taf is sourcing and roasting. Taloumis Family Limited Reserve is a very special range of coffees of nano-lots, coffees purchased in auctions, and a result of innovative procedures. A great example would be the aforementioned Sidra variety or Maker Series Geisha 227 from Panama. Single Estate Coffees are of comparable quality, coming from a specific producer or a farm. Having created these relationships with a great number of farms around the coffee-producing world, Taf has a decent overview of where the financial and other help is needed the most. Taf thus supports its producers whenever possible. 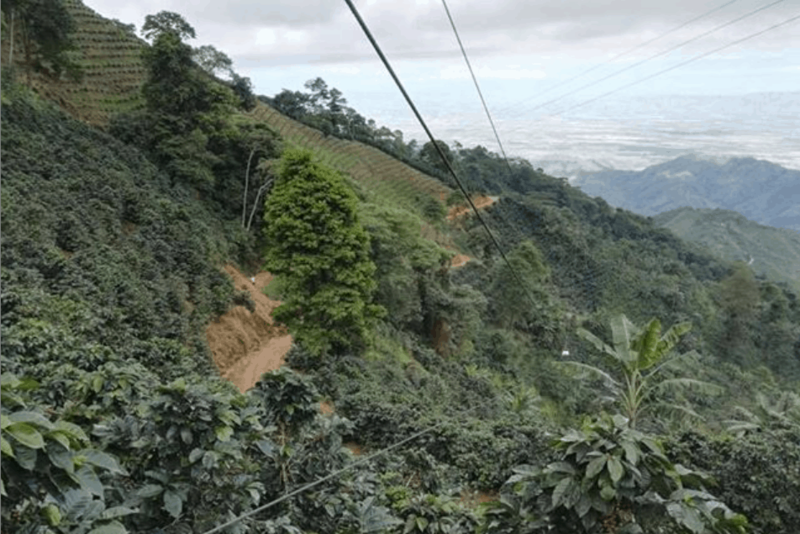 One of the examples is the coffee-lift which Taf helped construct at the Monroy farm in Colombia. Taf has been buying about 80% of the farm’s production every year, and so it made sense to help the farm finance this construction. Since 2006, Taf’s focus on direct trade and high-quality coffees has seen three major expansions. The roastery has now got three Probat roasters. The largest machine is used to produce the most popular blends, whereas the Taloumis Family Limited Reserve coffee is roasted on the smallest machine. In the first renovation of the Greek roastery, filter and espresso roasts were introduced, in addition to the Greek-coffee production. In 2006, a major expansion and upgrade to the work infrastructure were done at the premises. It was also the time that Taf decided to drop everything and begin again, almost from scratch. In retrospective, each time the roastery went through a major change, this was triggered by an update and a complete change of Taf's approach to roasting. This would be, at the three stages, due to their growing knowledge about and respect for the quality product they were sourcing. “The most important thing we have learned since 2006 is how to behave with respect to the sensitive raw material and its seasonal character, in order to find the perfect and ideal roast profile,” the roastery team told us. 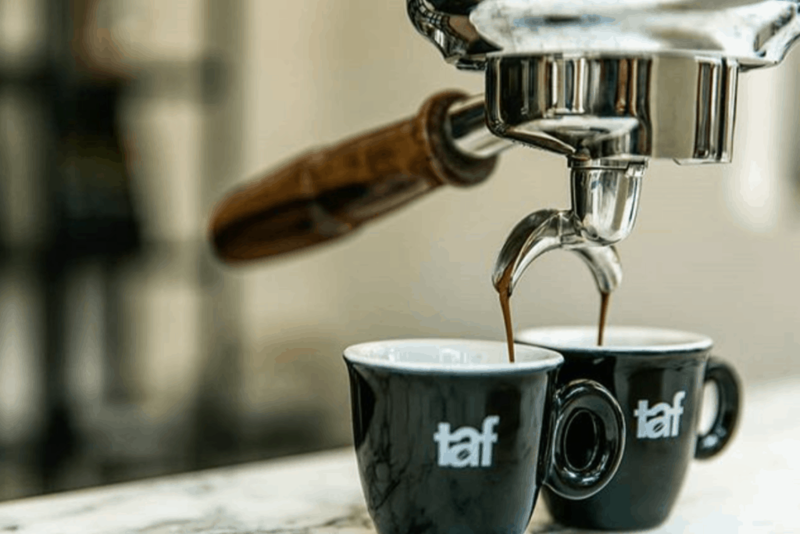 Taf continues to grow, building on their solid relationships throughout the coffee chain, and thus are planning to expand their premises in the near future, in order to satisfy the increasing demand. The establishment of Taf Points and Cultivos Coffee has been a big part of the company’s growth and expansions. 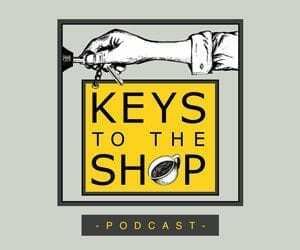 Ever since Taf has been looking for ways of spreading their coffee knowledge and reaching more coffee drinkers with their coffees, Taf Points have been the key location for this purpose. This will remain their goal even in the future, with more Taf Points and Cultivos Coffee places established outside of Greece. Cultivos Coffee go hand-in-hand with Taf’s sustainability requirements and aim to introduce the consumer to the 5th generation coffee shop. They only serve coffees that were produced at farms with sustainable farming practices, which applies also to other products sold at Cultivos Coffee shops. These cafes are set up in a Scandinavian style and are equipped with cutting-edge technology. And of course, their baristas are knowledgeable and highly-trained. 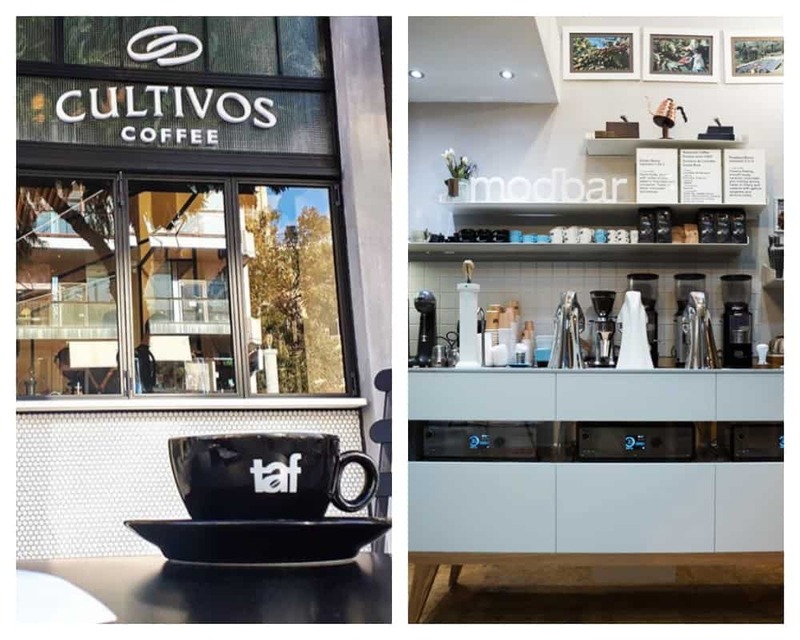 You will find Taf points and Cultivos Coffee shops in Greece, as well as overseas, but regardless of their location, they are fully operated by Taf, following the company’s values. The aim is to keep on spreading Taf’s message outside of Greece. What is your favourite origin? This a question I get very often and I wouldn’t like to answer. Let’s say, I like Colombia for the magic that keeps well-hidden and invites you to explore. I like Ethiopia for its primitive personality. Back in 2010, during a visit to Ethiopia, I had stated that if they had better processing equipment, maybe Ethiopia would be the only country to trade coffee in the world. Nowadays they are taking some steps towards this direction. I also like Rwanda for its efforts to elevate even more its quality standards. Finally, I like Panama & Costa Rica for being so established, allowing for amazing experiments. 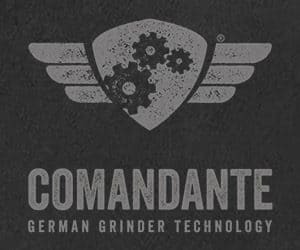 Omni or filter/espresso roast, and why? For each coffee, we are doing our best to highlight its unique profile, and therefore we use the roast that better suits it. The decision for the perfect roast begins during the first evaluation (cupping at the origin) and the final decision comes much later, when we ‘seal’ the initial decision. However, there are single estates that suit both profiles. We aim at revealing the fruity profile of our coffees, and also at satisfying our customers who prefer flavours with more caramel-chocolate notes. What describes the best what you're trying to accomplish in roasting coffee? We are trying to reveal/highlight what we have detected at the initial search stage and maintain it throughout the whole process. 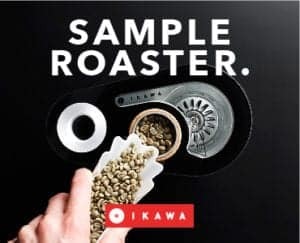 I like IKAWA because it allows as to use its pioneering technology in a traditional roasting. I prefer the 8-minute short roasting. I also like experimenting with its profiles.